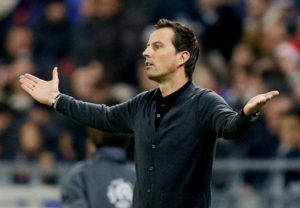 Rennes manager Julien Stephan insists they will not attempt to defend their lead when they take on Arsenal this evening. 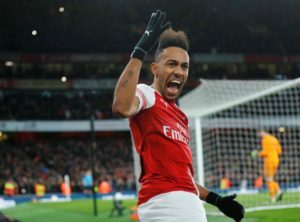 Arsenal are boosted by the return of Alexandre Lacazette when they take on Rennes in the Europa League this evening. 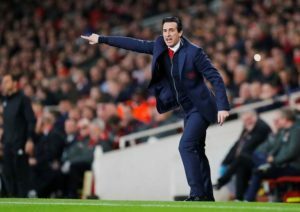 Arsenal manager Unai Emery says the Gunners will have to be at their very best if they are to progress past Rennes in the Europa League. 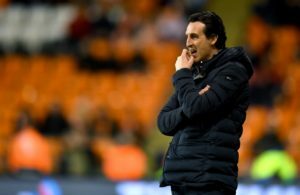 Arsenal will be aiming to avoid a repeat of last week's horror show when they aim to overturn a 3-1 Europa League deficit against Rennes. 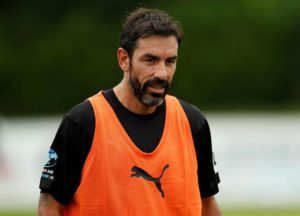 Robert Pires is adamant Arsenal can overturn a two-goal deficit against Rennes to progress in the Europa League. 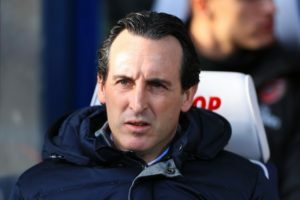 Rennes forward Hatem Ben Arfa has mocked Arsenal boss Unai Emery after his side secured a 3-1 win over the Gunners on Thursday. 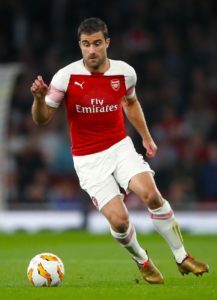 Arsenal had Sokratis Papastathopoulos sent off as they lost the first leg of their Europa League round of 16 tie against Rennes 3-1. 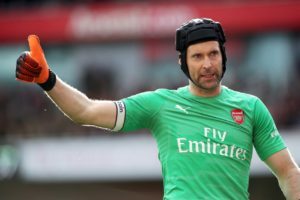 Petr Cech looks set to start in goal when Arsenal take on his former club Rennes in the first leg of their Europa League last 16 tie. 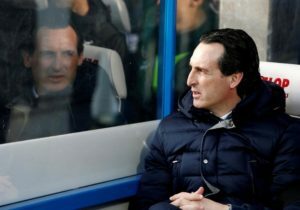 Unai Emery says there can be no excuses for a poor performance when Arsenal take on Rennes in the Europa League today. 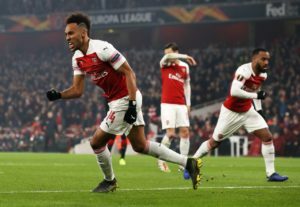 Rennes coach Julien Stephan says it is an 'historic moment' for his side to be playing Arsenal in the last 16 of the Europa League. 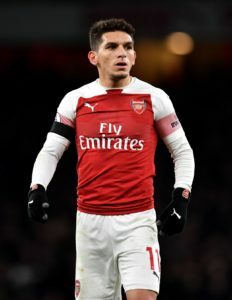 Lucas Torreira will miss Arsenal's next three league matches after the club failed in their attempts to get his ban overturned. 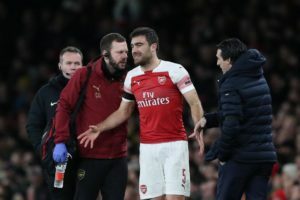 Sokratis Papastathopoulos says he will leave Arsenal when his current deal expires in the summer of 2021. 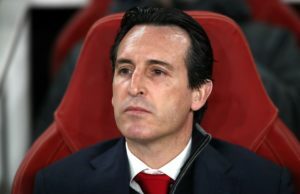 Rennes will be raring to go for their Europa League last-16 clash with Arsenal after a Ligue 1 match was rescheduled to help them. 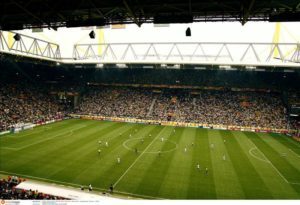 Rennes look like they have a job on their hands to keep midfielder Lucas Da Cunha with Borussia Dortmund said to have made a bid. 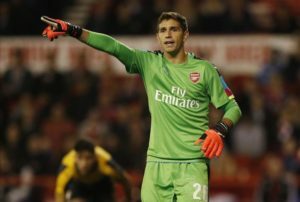 Ligue 1 side Rennes have reportedly made contact with Arsenal's third-choice goalkeeper Emi Martinez about a January move. 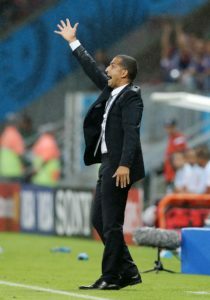 Rennes have sacked head coach Sabri Lamouchi following their disappointing start to the season. 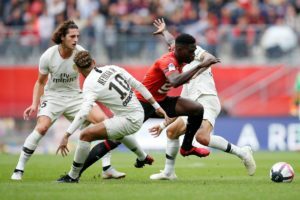 Rennes face a fight to keep hold of winger Ismaila Sarr with both Arsenal and Inter Milan believed to be vying for his signature. 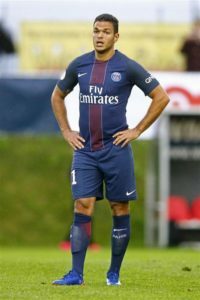 Rennes have confirmed the signing of free agent Hatem Ben Arfa on a two-year contract. 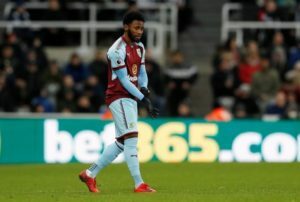 Tottenham outcast Georges-Kevin N'Koudou is reportedly in talks with Rennes over a season-long loan deal. 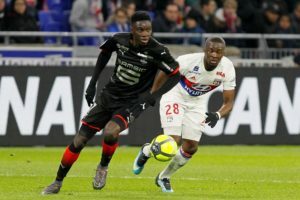 Ismaila Sarr insists he has no plans to leave Rennes before the close of the summer transfer window. Rennes have made a fresh bid for Sunderland forward Wahbi Khazri as they look to beat St Etienne to his signature.